#quickTIP for a extra boost of shine for HAIR! This is an ongoing challenge, learning to not sacrifice my body for my hair and not sacrifice my hair for my body. Here is a great way to preserve your hair when working out! Tippi Shorter shares 2 celeb hair tips on Cityline! Here's a #quickTIP video for an extra dose of shine for your hair! Since the summer is here and all I can think about is the beach, I thought I would show you how to maintain your beachy waves and a quick sneak peak on how to create them! Not sure why it took me so long to create a YouTube channel. Well, here it is, hope you enjoy it! I will be posting my quickTip videos as well as work and lifestyle videos. Please subscribe, comment and share! Here is an A to one of your Q's! Shampoo and Condition with Aveda Be Curly and follow with Be Curly prep and finger through hair. Apply a half dollar size amount of Be Curly Curl Controller to entire head and diffuse while gently stretching curls. This new year has gotten off to an amazing start. I have had a lot of things in the pipeline this past year and I am super excited to see all of that hard work start to pay off. Sometimes you don't see your blessings immediately, but, don't get discouraged, whatever is supposed to be for you, will be FOR YOU! I haven't made a resolution in almost 5 years, I didn't do one for this year, but I do keep a notebook of ALL of the things I want to accomplish within a 5 year period. My notebook has just expired and I am happy to say that I have checked everything off of that list. 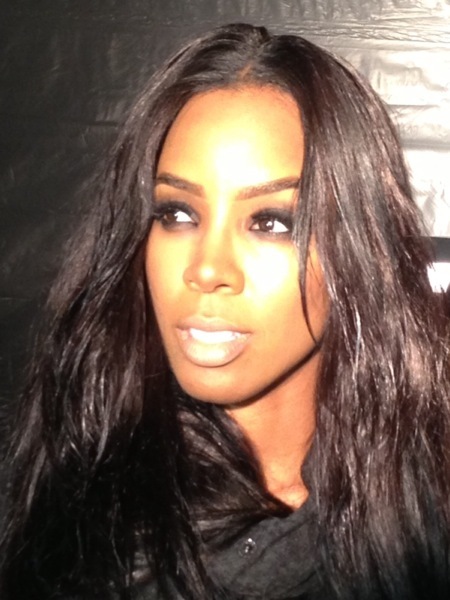 Here is a wrap up of the work I did this week with the lovely Kelly Rowland. She and Michelle Williams made an appearance on a secret project. We went back dark with Kelly's hair for the project. I also also had a great weekend working with the lovely Naomie Harris for her film Mandela. She invited me to the screening, that movie was so moving and I had a great Hollywood moment rubbing shoulders with Tracee Ross, Angela Bassett, Taraji Henson and many others. What an amazing show, team and experience!! !